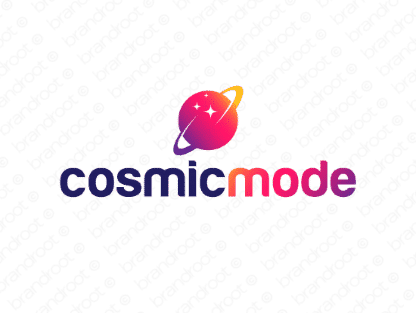 Brand cosmicmode is for sale on Brandroot.com! A far-out mix of "cosmic" and "mode" that's ready to push your brand presence to new heights. Cosmicmode is a smart marketing and media oriented name with excellent appeal for crowd-funding platforms, social media campaigns or creative advertising. You will have full ownership and rights to Cosmicmode.com. One of our professional Brandroot representatives will contact you and walk you through the entire transfer process.